A very violent battle scene. In 1914 Galien Laloue was too old of a patriot to take part in the war. He was nevertheless a very attentive witness who depicted of his time. His eye for details can be seen in the painting of the uniforms. 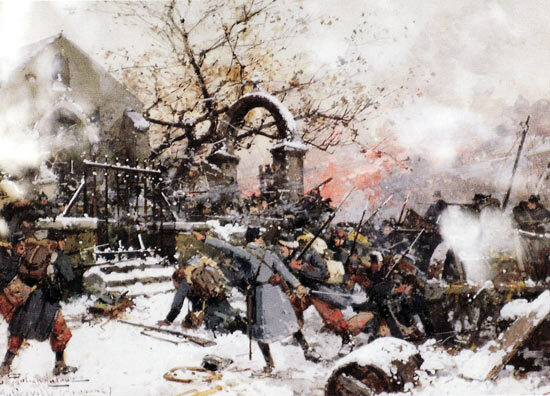 He very often painted the ruins of battle sites, as seen here in the Ambreville chapel Argonne.